Ginger Ford (left) is advising her neighbor Megan Sheehan-Dean on planting a butterfly garden this year. The pair is pictured in Ford’s home garden, which is filled with year-round blooms that lure pollinators. Photos by Joey Bordelon. If you’re an opera buff, Madame Butterfly may be a musical favorite, but if the outdoors calls, think of butterfly gardens. 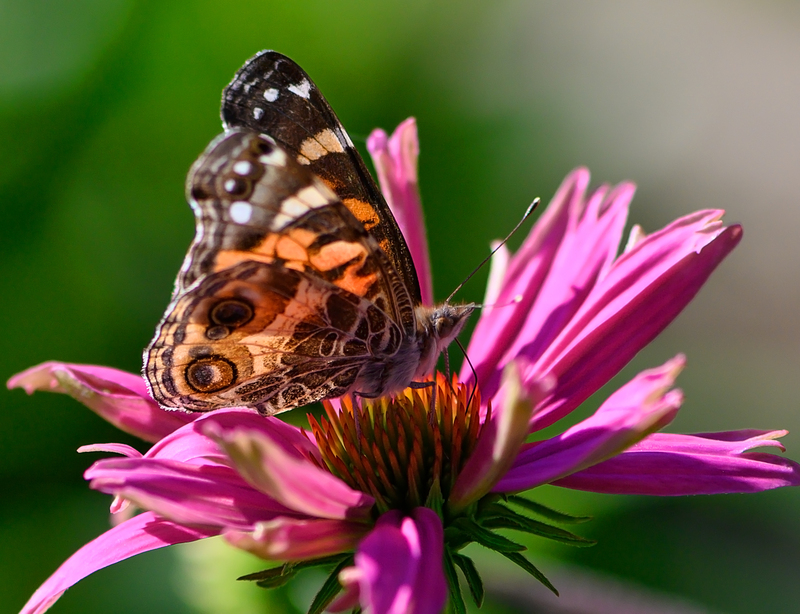 That’s what Megan Sheehan-Dean is doing this spring as she and her family are just beginning the process of transforming their yard into a garden, hoping to attract all kinds of butterflies. This American lady, ‘Vanessa virgiensis,’ recently visited Ford’s garden. 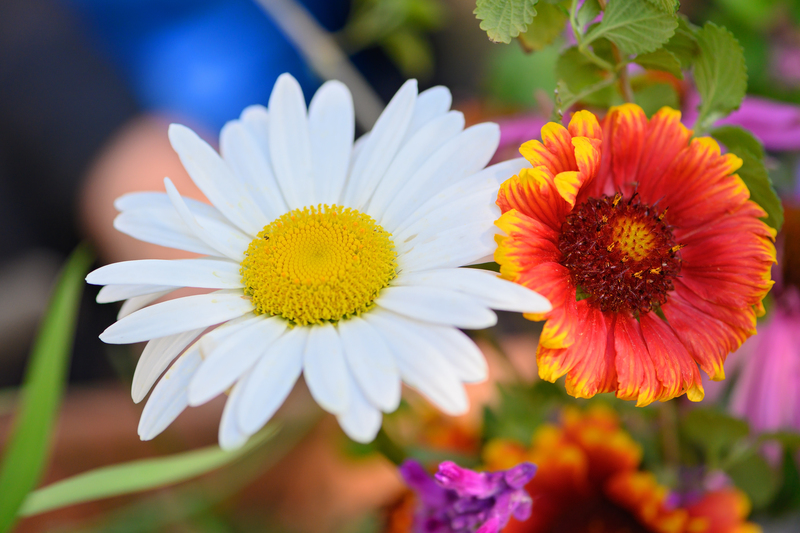 Colorful flowers such as gerbera daisies are easy to grow and attract butterflies.